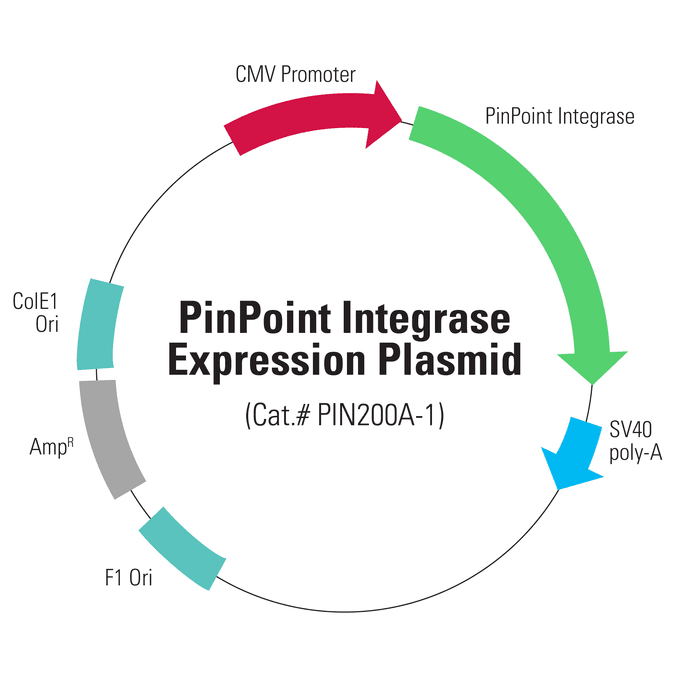 Powering the PinPoint Targeted Integration System is the PinPoint Integrase, a hyper-specific and efficient enzyme that catalyzes integration of a PinPoint Donor Vector at a PinPoint attP site. Because the PinPoint Integrase does not recognize any attP sites in the genome, you must first insert a PinPoint attP site. As long as only one PinPoint attP site is placed, the PinPoint Integrase will insert a single copy of the PinPoint Donor Vector, making this system ideal for applications that require single copy integration at a defined site, such as isogenic cell line creation.